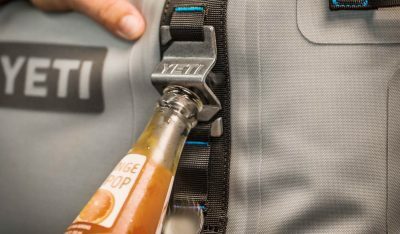 Best Yeti Hopper 20 Review – The New Best Cooler? 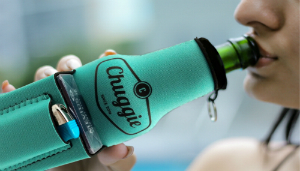 The New Best Cooler for You? Of all the soft sided coolers on the market today, the Yeti Hopper 20 is probably the most enticing. But is the high price worth it, even for such a good cooler? 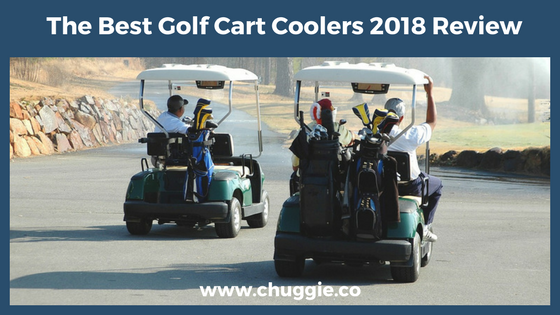 Our Yeti Hopper 20 Review is here to help you decide if this is the best soft cooler for you, giving you all the details so you can make the best decision for you. After all, you and your weekends deserve the best! Yeti Ice: The Best Yeti Hopper companion. Here’s a menu of all the most important info covered in our “Yeti Hopper 20 Review – The New Best Cooler?” Simply jump around to what matters most to you! 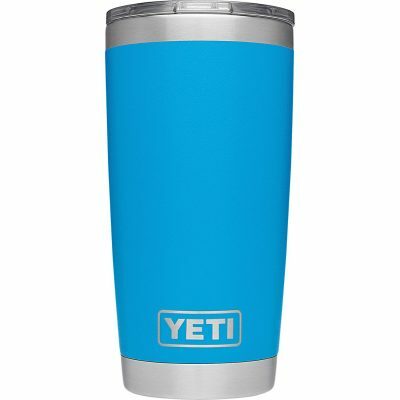 Price = Yeti’s listed price is $299.99, although there are always better deals out there. Like all “new editions,” Yeti took their original product and tweaked areas where people had some issues with it. apparently there weren’t many complaints, because the changes are small. Yeti’s overall goal was to make the Hoppers more user friendly. And they succeeded! 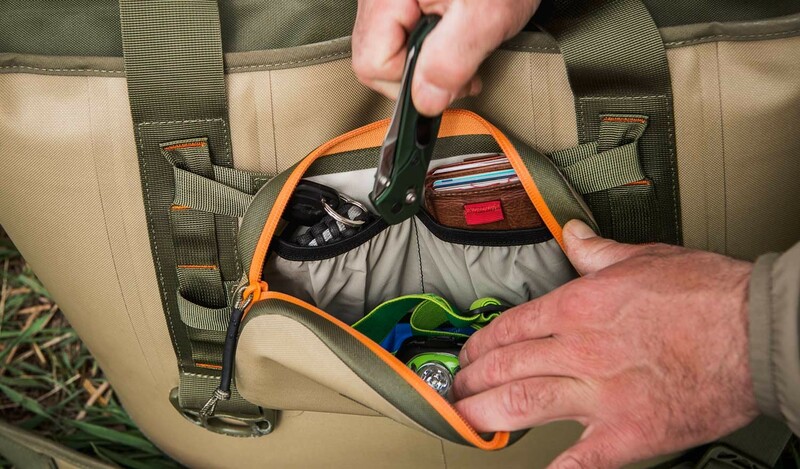 The forward-facing zipper allows you to open the insulated cooler bag wider, while the tapered shape lets you squeeze it into tighter spaces than before. Yet another way to carry the Hopper? The new handles don’t seem entirely necessary, but the video demo below will show you how some people find it extremely useful. In our opinion, both are fantastic. But if you can find a cheaper Yeti Hopper 20 Original online, you might as well save yourself the money. The benefits don’t outweigh the extra cost! This video review is an excellent addition to our Yeti Hopper 20 review, as it’s a visual of everything we’ve just been yammering on about! The New Best Cooler on the Market? 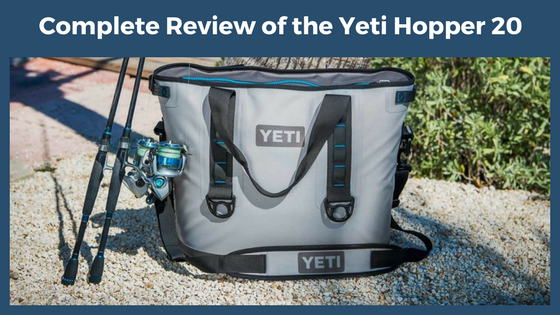 Since we’ve done plenty of research and testing on insulated cooler bags, we were excited to go more in-depth with this Yeti Hopper 20 Review. Read on for a comprehensive best cooler review based on the Hopper’s construction, special features, durability, and more. There are two undeniable facts, the first of which is the most obvious: First, the Yeti Hopper 20 is outlandishly expensive. (No surprise there. You’ll never hear “Yeti” and “Cheap” in the same sentence.) But also, its construction is right on par with its price. 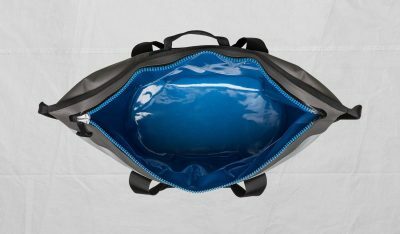 Here’s an inside view of this impressive, leak proof Yeti cooler bag. 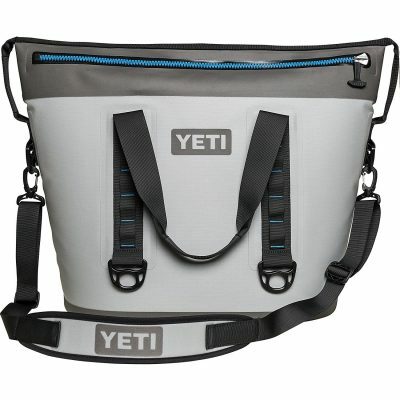 Truly, you’ll be hard-pressed to find many competitors for this Yeti cooler bag. Just try puncturing Yeti’s miracle bag, catching it in a leak, or wearing it out. Spoiler alert: you’ll fail. Miserably. Here’s an amazing video for a visual of how leak-proof and durable the Yeti Hopper 20 is. 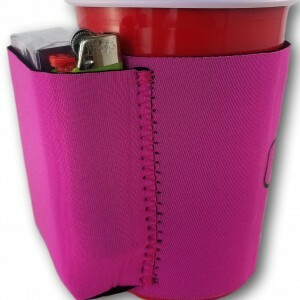 Carry your Yeti Hopper 20 any way you’d like – you certainly have options! Also, due to the tweaks, it’s now easier than ever to pack and unpack this unstoppable cooler bag. Additionally, the new and improved shape makes it easier to fit this bad boy in awkward/tight spaces. And let’s not forget the 6 tie-down points and perfect molle for attaching accessories! 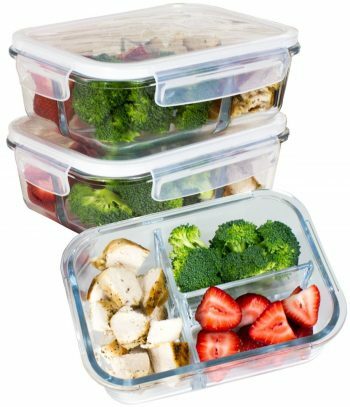 These premium 3-compartment meal-prep containers are great for packing food in your Yeti Hopper. Unlike many other soft sided coolers, the Yeti Hopper Two 20 isn’t so sandwich-friendly. 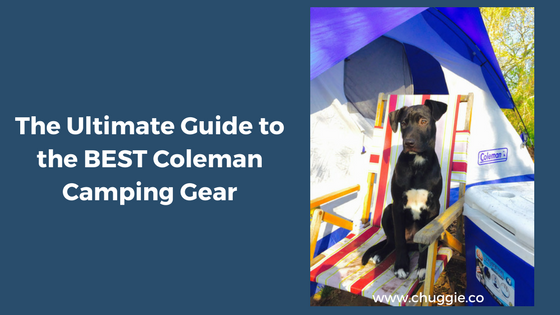 It doesn’t have all the handy compartments of other insulated cooler bags. But this isn’t necessarily a deal breaker, as long as you take advantage of hard containers to prevent your food from getting soggy or smashed. And of course, Yeti ICE. Whereas Yeti Coolers often fall behind the pack in ice retention, the Yeti Hopper 20’s performance is a pleasant surprise. In fact, it blows other top soft sided coolers out of the water. Unsurprisingly, ice retention is a top priority our our Yeti Hopper 20 Review. 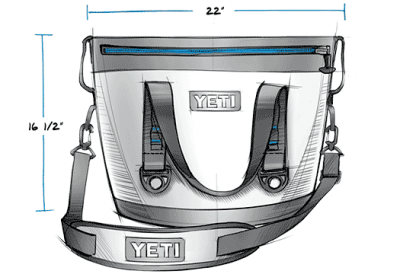 Since Yeti branded itself as the best fit for hearty outdoors people like fishers and hikers since the Seider brothers first put out their line of rotomolded coolers, it’s only fitting to see if their soft coolers also fit the bill. 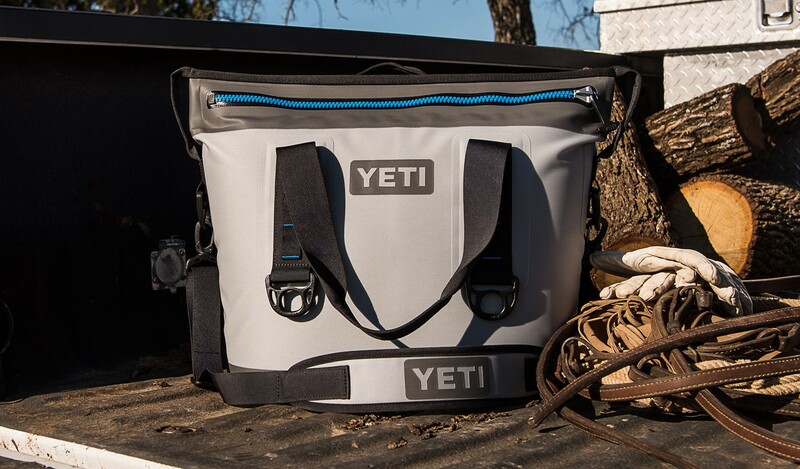 Well, good news: the Yeti Hopper 20 can keep ice for 24 hours or even a few days, depending on factors like pre-cooling and ambient temperatures. Even in direct sunlight on a hot day though, you should expect ice to keep for at least 24 hours. 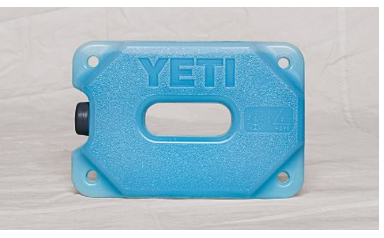 It’s important to realize that Yeti uses the numbers at the end of their soft coolers’ names to express how many pounds of ice that particular soft portable cooler can hold. Before moving on to the best Yeti Hopper accessories, let’s take a look at the Velvet Review’s “Yeti Hopper 20 Capacity Test” Video. The Yeti Hopper Two 20 is practically bagging for accessories, since it has built-in molle for the specialized Yeti accessories. In order to store personal items, you’ll need to buy the Yeti Sidekick. It fits perfectly to the Hopper Hitch Grid point, and it’s made from the same puncture-resistant material. Now, our “Best Yeti Hopper 20 Review – The Best New Cooler on the Market” wouldn’t be complete without mentioning Yeti Rambler Tumblers as wonderful accessories. While there are countless other stainless steel tumbler cups up to the challenge, it seems fitting to polish off your purchase with a tumbler matching in brand. Collegiate Series: Yeti offers their Rambler Tumbler Cups with a selection of 64 college’s symbols on the front side. 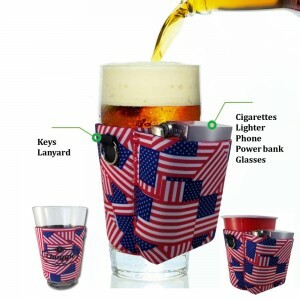 Company Logos: Visit the Yeti Custom Shop to send your desired designs or logos and the amount of personalized tumblers you’d like. However, we’ve always found better luck scouring online market places, such as Amazon for better prices. Take advantage of Amazon Prime, and you can save yourself even more. 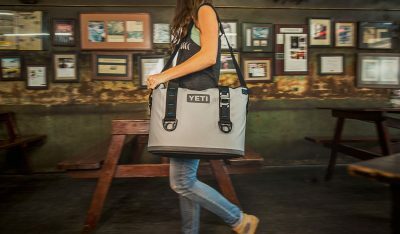 In addition to the Yeti Hopper 20, Yeti offers several other soft cooler sizes: the Hopper Flips 8, 12, and 18 and the Yeti Hopper Two 20, 30, and 40. Stay tuned for more reviews! 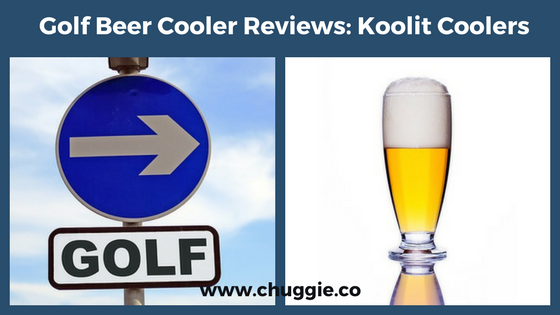 As can be seen throughout the Yeti Hopper 20 Review, this is not your average cooler. If you want a durable, life-long cooler, the Yeti Hopper 20 is a wise investment. 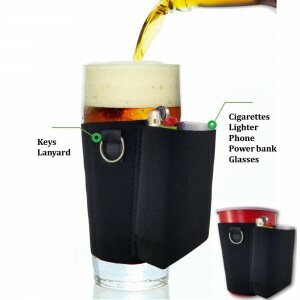 If it doesn’t seem like you’ll be needing such a heavy duty cooler, that’s okay. There are plenty of other options. Leave us a comment with any questions. And don’t forget to check out the bonus videos below. Cheers!